Tigers right hander Max Scherzer's season looks great by any pitching metric. It's time for the first installment of the Tiger Tales sabermetric pitching Leaders in 2014. 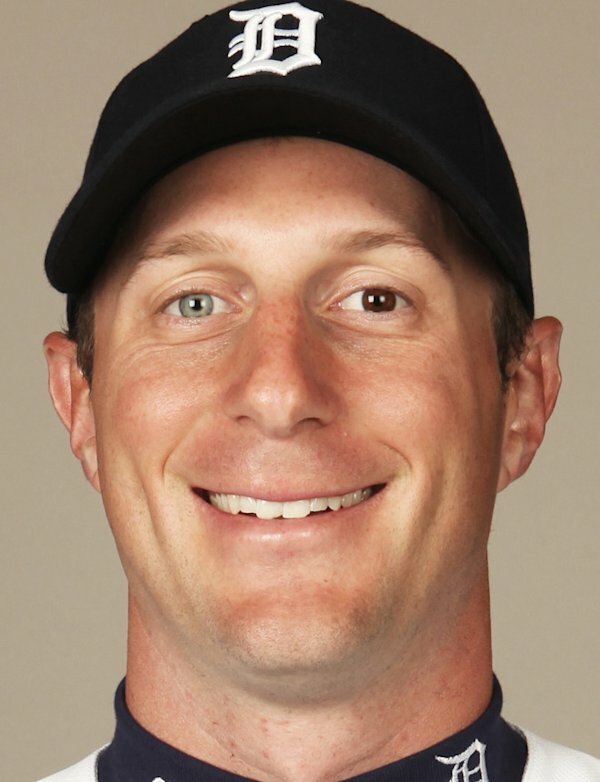 Tigers starter Max Scherzer leads the American League with 14 Pitching Runs so far this year which indicates that he saved the Tigers an estimated 14 runs compared to the average pitcher in the same number of innings. A statistic based on pure runs allowed is a good place to start, but it does not take into consideration things such as team defense and ballparks. If we attempt to take team fielding out of the equation, then Scherzer looks better since the Tigers have performed below average defensively so far according the Total Zone and Defensive Runs Saved Statistics. According to Adjusted Pitching Runs which considers defense as well as ballpark, Scherzer has saved his team a league-leading 16 runs. The biggest limitations of this metric are the uncertainty of the fielding measures and the assumption that all pitchers are affected by team defense in the same way. Even if you trust the fielding component of the Adjusting Pitching Runs calculation, another issue is that a pitcher has no control over what happens after he leaves the game If he departs with a man on first with two outs and the relief pitcher allows a run-scoring double, the starting pitcher is charged with the run. In other words, a pitcher’s ERA is dependent not only on the quality of his innings but also on the quality of the innings of his relievers. inning. If a pitcher frequently allows a lot of base runners and extra base hits, he might get away with a relatively low ERA for a period of time, but it wouldn't necessarily be based on skill. singles but Pitcher B allowed two fewer runs just because the sequence of hits was different. While pitchers vary in their ability to prevent base runners from scoring, research by Ron Shandler – author of The Baseball Forecaster and publisher of BaseballHQ.com– suggests that this has more to do with overall pitcher quality than clutch pitching ability. In other words, most pitchers who consistently strand runners do so primarily because they get strikeouts and limit base runners in all situations, not because they have a lot of control over clustering of base runners or sequencing of events. In other words, much of the bunching and sequencing seems to based on luck to some extent. In order to remove, clustering of base runners and sequencing of events from the equation, we can use a component-based statistic. One such measure is the Base Runs statistic created by David Smythe in the early 1990s. It is based on the idea that we can estimate team runs scored if we know the number of base runners, total bases, home runs and the typical score rate (the score rate is the percentage of base runners that score on average). Base Runs also works well for individual pitchers. The complete formula can be found here. Scherzer has 9 Base Runs which ties him for the league lead with Athletics starter Scott Kazmir, Garrett Richards of the Angels and Felix Hernandez of Seattle. A criticism of Base Runs for evaluation of pitchers is that it includes hits on balls in play which is the responsibility of fielders at least as much as pitchers. Thus, many analysts prefer to use FIP (translated in to FIP Runs here) which only considers events that a pitcher essentially controls - walks, hit batsmen and home runs allowed and strikeouts. Scherzer had 11 FIP Runs which was second to Red Sox right hander Jon Lester (13). Table 1 below lists all four statistics discussed above - Pitching Runs, Adjusted Pitching Runs, Base Runs and FIP Runs - side by side and also the average of the four for the top fifteen pitchers. Scherzer's average across the measures is 13 which leads the American League. He is followed by three Oakland starters - Sonny Gray (10), Kazmir (8) and Jesse Chavez (8). Scherzer's teammate Justin Verlander is 10th with 6 Runs Saved. Other Tigers starters include Rick Porcello (4), Drew Smyly (4) and Anibal Sanchez (3). Wow....Oakland's staff looks pretty strong so far!